The Kenwood DNX7150BT Bluetooth® navigation system is packed with impressive features such as a 6.95 inch TN LDC Panel display and24 Bit D/A Converter. 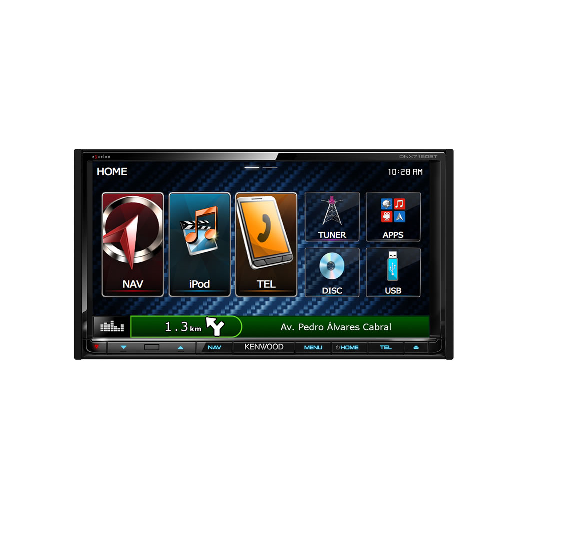 Providing GPS navigation, music playing, and phone call applications from one device. With aptX® audio codec support to ensure high quality audio when streaming wirelessly with compatible devices.